He was born and raised in Hummelstown, and in 1965 he and his wife moved to Levittown to raise their family. He was a retired steamfitter who worked with Local Union 420. He enjoyed trips to Lock Haven, where he and his wife owned a cabin in the woods and loved the time he spent there surrounded by his family. He was a loving and caring husband, father, grandfather, brother, and good friend to all who knew him and will be remembered for his magnetic personality, and his genuineness and simplicity. He was preceded in death by his parents “Ray” and Maude Winters, and his siblings Charlotte Heffner, Donald, Homer, and Larry. 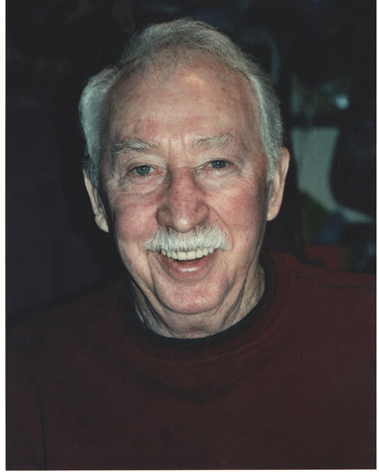 He will be greatly missed by his beloved wife of 60 years, Dorothy (nee: Beadle); and his children Robert G. and wife Donna, Janice Smith and husband Edward, Glenn and wife Jan, and Denise Belmonte and husband Peter. He is the loving grandfather of Pamela, Amy, Brian, Stacie, Dana, Rachael, Jason, Christina, Heather, and David; and great-grandfather of 13. He is also survived by his siblings Dale, Ronald, Shirley Wagner, Joyce Sigafoos, and Linda Shutt; and numerous nieces, nephews, and cousins. A religious service was held on Friday at the Galzerano Funeral Home, Bristol, Pa.
Burial was in Beechwood Cemetery, Bensalem.